Investing in Green provides information for sustainable business. Nature doesn’t have hands but it has its way of slapping you on the face. Companies have spent years ripping the earth of its ecosystem in the name of development. Fossil fuels were hailed as the best thing that happened to this generation but today the after effect of its exploitation and use are showing in the environment. The earth just received a corrective slap from nature and all eyes are turned towards going green. That is why green investing is looking very appealing to investors worldwide. Investments that are considered green are those stocks and bonds from companies that are involved in renewable energy and other environmentally friendly activity. Surprisingly, companies whose activities may not be considered green may qualify for green investment if they are considered to apply best practices that are environmentally sound. This can create a controversy especially for those green living diehards. For some people, there is no compromise on what company should be considered green. To these people not any company the activity of which contributes towards the greenhouse gases should be on the list. Unfortunately for these people there’s not much they can do for now to change this. The only power they have is to make sure their investments never go to support this kind of companies in anyway. There are truly green companies that are making it big and succeeding. For not so particular investors who are also into green investing, they are more particular about companies that are making money and have more potential for growth than on what is green and what is not. For such people, if the powers that say that a company qualifies for green investments, they are fine with that decision. If they can invest and make some money from such companies, good and fine. It’s all business and no sentiments as there is nothing as green as money! Truly, if you are in investment business then it is because you want to make money. You may have the desire to save the world but in business the first thing is to save your money. What that means is that it would be foolish to invest in a sinking company just because it is green. You may as well give the money to charity. As to which company is green surely the definition would be more specific someday. But for now we all have to go with what is accepted in green investing. ← How Green Is Green When It Comes To Investments? How Green Is Green When It Comes To Investments? 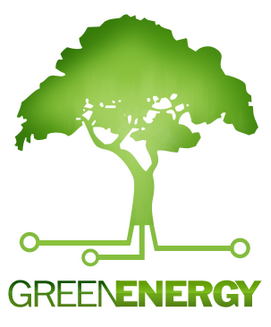 Copyright © 2019 Investing in Green Energy. All Rights Reserved.